Jonathan’s recent research has focused on the challenge of governing for the long-term in the face of strong presentist tendencies in democratic policy-making. Current projects include an analysis of the New Zealand government’s social investment approach, designing institutions to manage the challenges of climate change, and a book on ‘The Good Society’. Jonathan has published widely on a range of matters including public management, social policy, climate change policy, tertiary education policy, and comparative government. 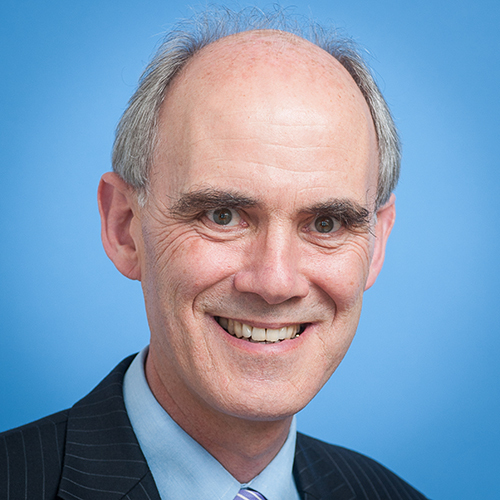 While at Victoria University of Wellington, Jonathan has served as Director of the Institute for Governance and Policy Studies and Director of the Institute of Policy Studies. Earlier in his career he worked briefly for the New Zealand Treasury and taught at the University of Canterbury. During 2000-01 he was a member of the Tertiary Education Advisory Commission, and later helped to design, implement and evaluate the Performance-Based Research Fund. More recently he served as Co-Chair of the Expert Advisory Group on Solutions to Child Poverty, established by the Children’s Commissioner. He was awarded a Fulbright Fellowship in 2014 to undertake research on ‘Governing for the Future: Bringing Long-Term Policy Issues into Short-Term Political Focus’. Jonathan serves on the boards of a number of organizations including Oxfam NZ. Governing for the Future: Designing Democratic Institutions for a Better Tomorrow (Emerald, forthcoming 2016). with Simon Chapple The Child Poverty Debate: Myths, Misconceptions and Misunderstandings (Wellington, Bridget Williams Books, 2015), 132pp. with Simon Chapple Child Poverty in New Zealand (Wellington, Bridget Williams Books, 2014), 296pp. Co-editor with Victor Lipski, Justin Pritchard and John Wanna Future Proofing the State: Managing Risks, Responding to Crises and Building Resilience (Canberra, ANU Press, 2014), 302pp. Co-editor with Andrew Bradstock and David Eng Ethics and Public Policy: Contemporary Issues (Wellington, Victoria University Press, 2011), 382pp. Co-editor with Petra Butler and Caroline Morris Reconstituting the Constitution (Berlin, Springer, 2011), 519pp. Co-editor with Andrew Bradstock and David Eng Public Policy: Why Ethics Matters (Canberra, ANU E Press, 2010), 311pp. “Anticipatory Governance: How Well is New Zealand Safeguarding the Future?” Policy Quarterly, 12, 3, 2016, pp.11-24. with Thomas Stuart, “Protecting the Rights of Future Generations: Are Constitutional Mechanisms an Answer?” Policy Quarterly, 11, 2, 2015, 60-71.
with Chris Eichbaum, “New Zealand’s Neoliberal Reforms: Half a Revolution”, Governance, 27, 3, July 2014, pp.373-376. “Enhancing Policy Farsightedness”, Risk and Regulation: Magazine of the Centre for Analysis of Risk and Regulation, 28, Winter 2014, pp.10-15. “Hope in the face of ecological disaster”, Stimulus: The New Zealand Journal of Christian Thought and Practice, 20, 1, 2013, pp.4-10. “The challenge of securing durable reductions in child poverty in New Zealand”, Policy Quarterly, 9, 2, 2013, pp.3-11. “A century of public service – The eighties: a retrospective view”, Public Sector, 36, 1, 2013, pp.16-18. with Rebecca Prebble, “The role and importance of long-term fiscal planning”, Policy Quarterly, 9, 4, 2013, pp.3-9. with Mark H. Cooper and John Bright, “Policy challenges for livestock emissions abatement: Lessons from New Zealand”, Climate Policy, 13, 1, 2013, pp.110-33. with David Bullock, “Multi-party governance: managing the unity-distinctiveness dilemma in executive coalitions”, Party Politics, 18, 3, 2012, pp.349-368. “Reflections on “New Political Governance in Westminster Systems”’, Governance, 25, 2, April 2012, 201-205. “Christianity and the ecological crisis: ‘lament, hope and action’”, The Nathaniel Report, 38, 2012, pp.6-7. “Government formation in New Zealand under MMP: Theory and Practice”, Political Science, 63, 1, June 2011, pp.79-105. with Frieder Lempp, “Climate change: explaining and solving the mismatch between scientific urgency and political inertia”, Accounting, Auditing and Accountability Journal, 24, 8, 2011, pp.1000-21. “Biophysical limits and green growth”, Policy Quarterly, 7, 4, 2011, pp.34-43. “Climate change policy”, in Janine Hayward (ed.) New Zealand Government and Politics 6th Ed. (Melbourne, Oxford University Press, 2015), pp.482-493. “Governing for the Future while Meeting the Challenges of Today”, in Jonathan Boston, et al., (eds) Future Proofing the State: Managing Risks, Responding to Crises and Building Resilience (Canberra, ANU Press, 2014), pp.3-27. “Ethical Issues” in Jim Salinger (ed.) Climate Change: Living in a Warmer World (Auckland, David Bateman Ltd, 2013), pp.227-239. “What kind of equality matters?”, in Max Rashbrooke (ed.) Inequality: A New Zealand Crisis (Wellington, Bridget Williams Books, 2013), pp.70-86. with John Halligan, “Public Management and the New Political Governance: Reconciling Political Responsiveness and Neutral Competence”, in Herman Bakvis and Mark D. Jarvis (eds) From New Public Management to New Political Governance: Essays in Honour of Peter C. Aucoin (Montreal and Kingston, McGill-Queens University Press, 2012), pp.204-241. with Andrew Bradstock and David Eng, “Introduction: The Ethical Dimensions of Public Policy”, in Jonathan Boston, Andrew Bradstock and David Eng (eds) Ethics and Public Policy: Contemporary Issues (Wellington, Victoria University Press, 2011), pp.1-20. with Frieder Lempp and Lucas Kengmana, “Considerations of Distributive Justice in the Context of Climate Change Mitigation”, in Jonathan Boston, Andrew Bradstock and David Eng (eds) Ethics and Public Policy: Contemporary Issues (Wellington, Victoria University Press, 2011), pp.125-144. “The nature of the problem and the implications for New Zealand”, in A. Cameron (ed.) Climate Change Law and Policy in New Zealand (Wellington, LexisNexis New Zealand Ltd., 2011), pp.87-125. with Roger Douglas, “Entrenching ‘Rogernomics’ – political and academic perspectives”, in E. Lindquist, S. Vincent and J. Wanna (eds) Delivering Policy Reform: Anchoring Significant Reforms in Turbulent Times (Canberra, ANU E-Press, 2011), pp.99-103. “Equality and Citizenship” in Dean Knight and Clare Charters (eds) We the People(s): Participation in Government (Wellington, Victoria University Press, 2011), pp.208-221. with Derek Gill, “Working Across Organisational Boundaries: The Challenges for Accountability”, in Bill Ryan and Derek Gill (eds) Future State: Directions for Public Management in New Zealand (Wellington, Victoria University Press, 2011), pp.213-247. with Andrew Bradstock and David Eng, “Ethics and Public Policy”, in Jonathan Boston, Andrew Bradstock and David Eng (eds) Public Policy: Why Ethics Matters(Canberra, ANU E-Press, 2010), pp.1-17. “Basic NPM Ideas and their Development”, in Tom Christensen and Per Laegreid (eds) The Ashgate Research Companion to New Public Management (Farnham, Ashgate, 2010), pp.17-32. Expert Advisory Group, Solutions to Child Poverty in New Zealand: Issues and Options Paper for Consultation (Wellington, Office of the Children’s Commissioner, 28 August, 2012), 44pp. Expert Advisory Group, Solutions to Child Poverty in New Zealand: Evidence for Action (Wellington, Office of the Children’s Commissioner, December 2012), 72pp.